Absolutely! Just keep in mind - if you want to subscribe for a specific month, be sure to order before the 15th of that month. 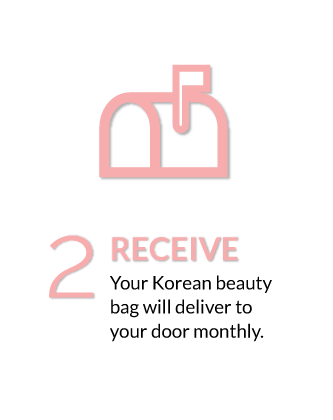 Orders for each month’s bags end the 15th at 11:59 PM EST. When will my bag ship? Bags will ship at the end of the month. As soon as your bag ships, you will receive a notification email that contains your tracking information. Your sign up date is your recurring billing date. For example, if you subscribed to a Monthly Plan on January 21st, your plan will renew and you will be billed on the 21st of each month. If you have signed up for a Prepaid Plan, you will be billed on your sign up date at the end of your subscription term. For example, a Prepaid 3-Month Plan that signs up on January 21st will automatically renew on April 21st. How do I know which month I am signed up for? If you signed up before the 15th of the month, you are enrolled to receive that month’s bag. If you sign up after the 15th of the month, you are enrolled to receive the following month’s bag. For example: If you sign before January 15th, you are getting January’s bag. If you sign anytime after January 15th, you are getting February’s bag. Help! I have too many products! What can I do? Hey it happens, sometimes we collect more products than we use and it can get overwhelming. Instead of cancelling, you can choose to skip. Log into your Beauteque Monthly account, on the left side under ‘Your Subscriptions’ click the ‘EDIT’ button. On the next page you can make any changes to your subscription. To skip your next renewal click the button at the top right that says ‘Skip Next Renewal’. I want to cancel, how can I do that? So sorry to see you go! 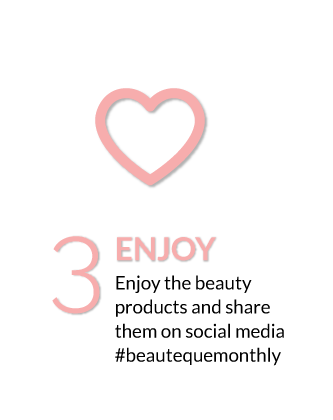 You can easily cancel through your Beauteque Monthly account. Once logged in, on the left side under ‘Your Subscriptions’ click the ‘EDIT’ button. On the next page click the button on the bottom left that says ‘CANCEL SUBSCRIPTION’. I want to make changes to my subscription, how can I do that? No problem! Just log into your Beauteque Monthly account and you can make any changes you wish such as account login, address change, method of payment, subscription term, etc. I entered a code when I signed up to receive free gifts, will it come with my subscription? No, free gifts are shipped separately from your subscription. Your gift may arrive before or after your subscription bag.